This limited edition photograph was made in honour of Damien Hirst and to support of the art debate "Brand Art Sensation" to parody contemporary celebrity artists and luxury fashion brands. 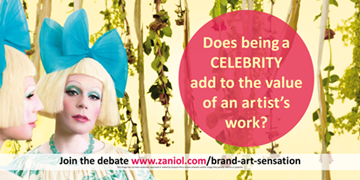 Grayson Perry or Claire have NOT endorsed, approved or vetted this fictional advert, the perfume bottle or any part of Brand Art Sensation, which is published by Zaniol Ltd. a limited company devoted to art, education, and design. 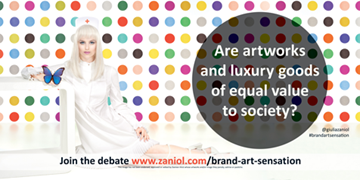 Are artworks and luxury goods of equal value to society? 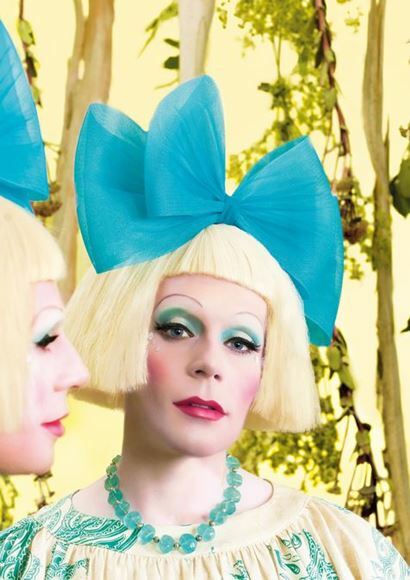 Does being a celebrity add to the value of an artist's work?